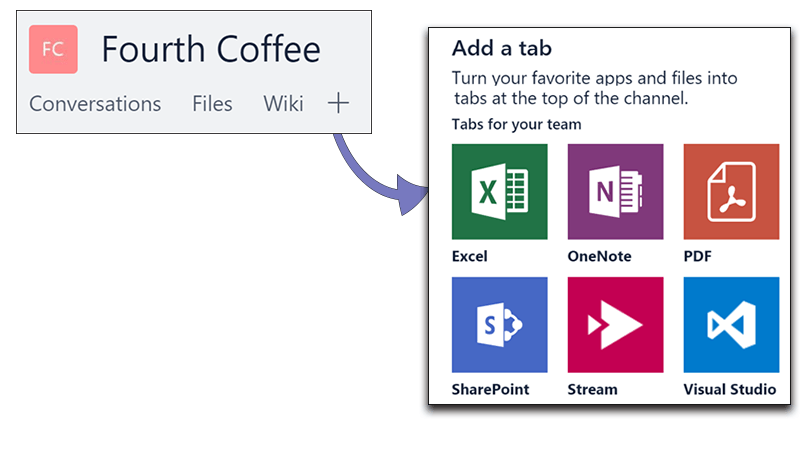 Create custom tabs to give your teammates easy access to the files, tools, and sites they use every day. Just click + on the menu at the top of your channel to add one or more custom tabs. They'll be visible to all your teammates instantly.